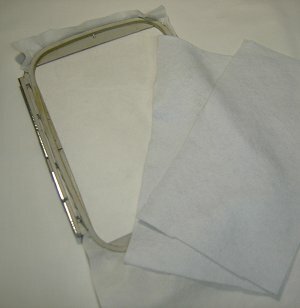 When using the vilene avlon plus, you will trim your material once the cutting line has been stitched. 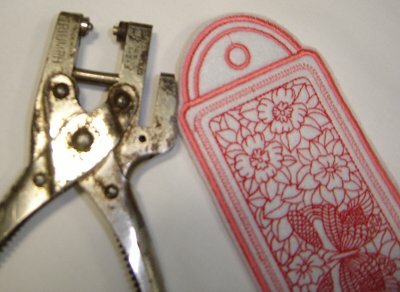 When using the cut away you will only cut your bookmark out once the whole bookmark has been stitched out. 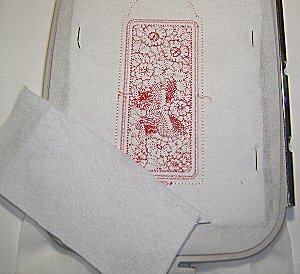 Before stitching the satin outline to finish off the bookmark, there will be another cutting line. 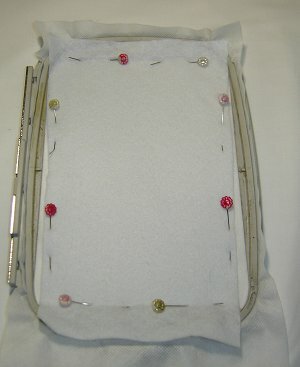 Remove the hoop from the machine and attach the second piece of felt or material to the backside of the hoop. 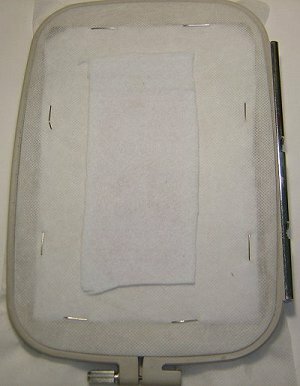 Make sure it covers all the stitches. 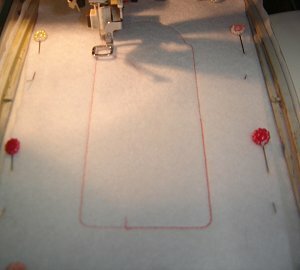 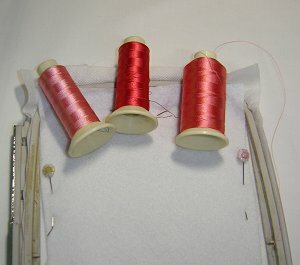 Attach your hoop to your machine again and stitch the cutting line. 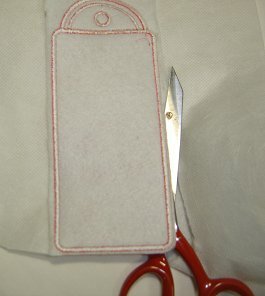 You can now trim your material on the back before you stitch the satin outline. 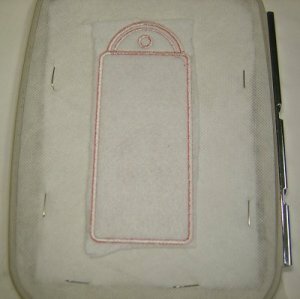 If you have used vilene avlon plus, you can now rinse away the excess vilene avlon plus to finish your in the hoop bookmark. 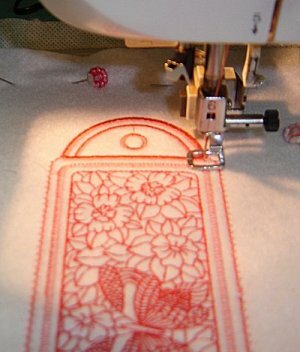 If you have used a cut away you can now carefully cut out your bookmark, but be very careful not to cut into your stitches. 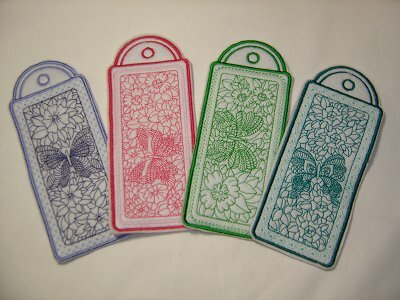 To finish off your bookmark, punch a hole where the eyelet was embroidered and attached a piece of ribbon to your bookmark. 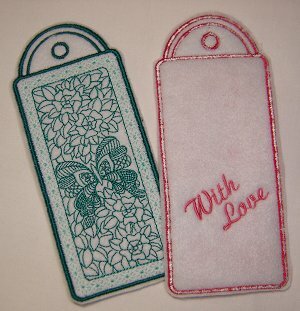 Before you start with your bookmark you can take the second piece of material and embroider your own little message on it.